We had our final day in Louisiana free and we are using it to rest from a week of hard work. Tonight the whole team will be set free in the French Quarter to celebrate and have one last chance to get beignets. Dinner tonight was out with the whole team to Mulate's, a Louisiana Cajun restaurant. Lots of seafood, spice, an everything fried! I was invited up to the front of the dining room by a 70-something Cajun dancer. He swung me around and lead me across the dance floor. 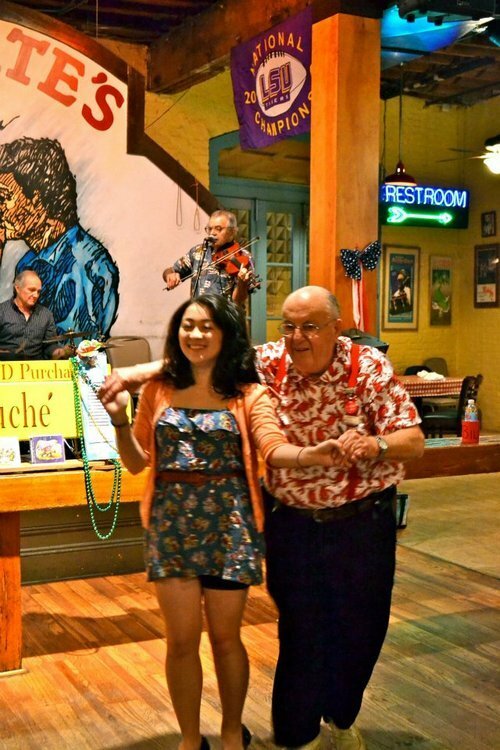 When the song was over, he even gave me a certificate saying I was a real Cajun dancer!